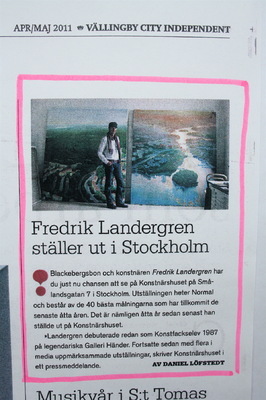 Metro 2013, small note that there will be a guided tour of some subway-stations in Stockholm. 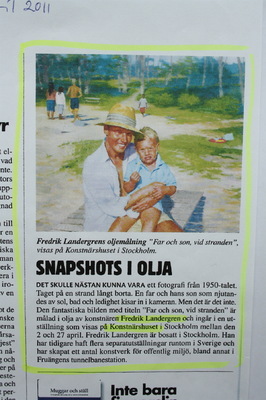 The picture from Fruängens subway: 'Childface'. 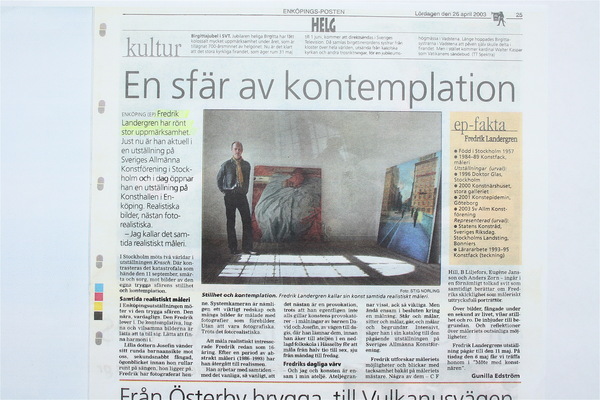 City 2011, Nathalia Kazmierska gives weekend tips on three current exhibitions; Botkyrka Konsthall, Konstnärshuset, och Moderna Muséet. 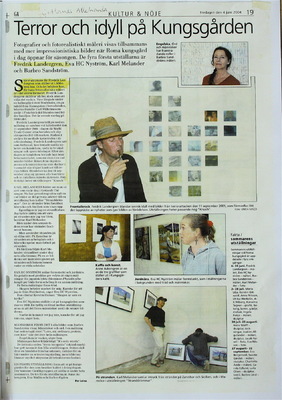 Gefle Dagblad 2004, review by Björn Widegren. 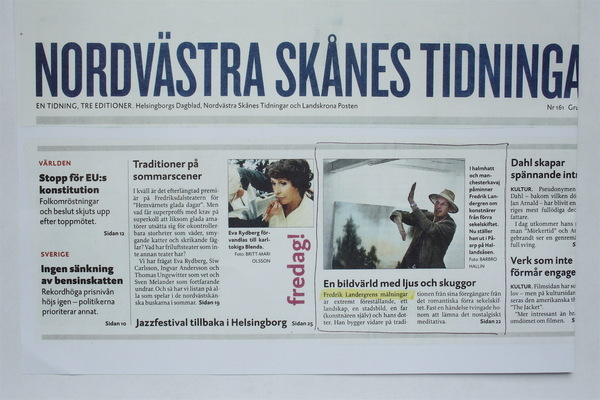 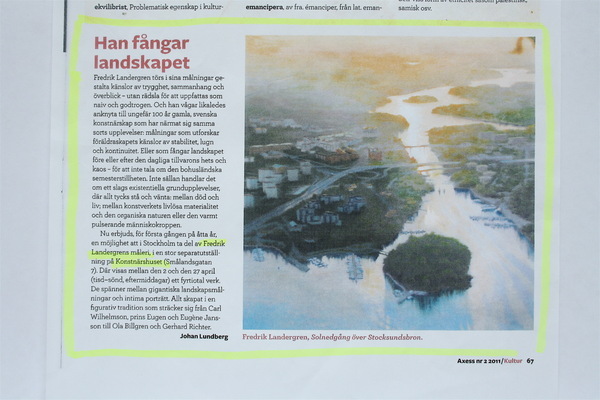 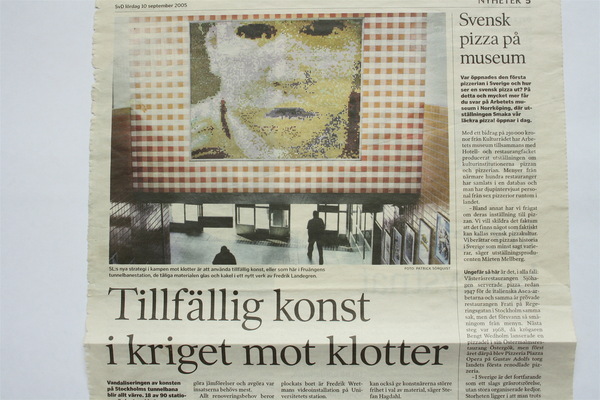 (The review was for two exhibitions; Fredrik Landergren at Gävle Konstcentrum, and Björn Erling Evensen at Sandvikens Konsthall). 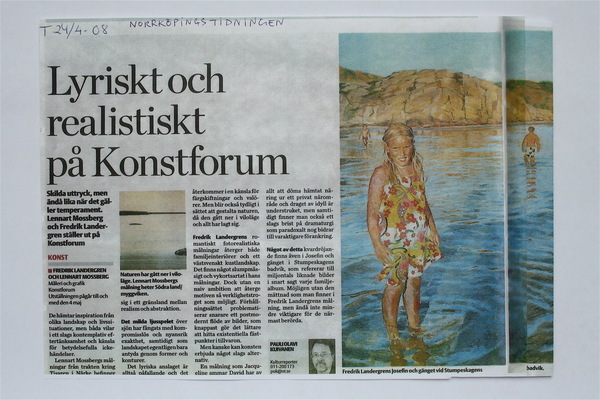 Gotlands Allehanda 2004 - push for exhibitions at Roma Kungsgård. 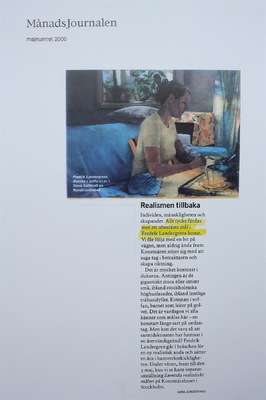 Text in SAK´s member paper. 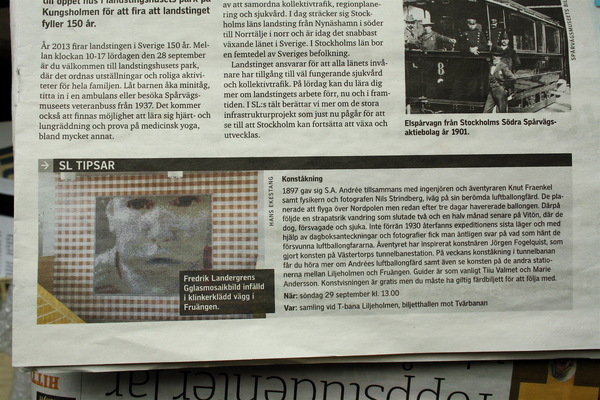 1st price by Lena Cronqvist, 2nd price by Jarl Ingvarsson, 3rd price 'The undone bed' by Fredrik Landergren. 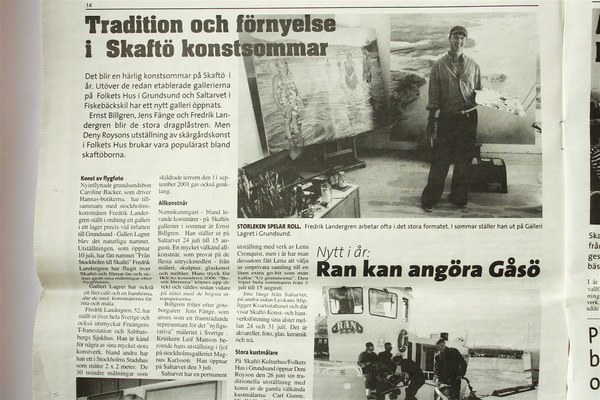 DN på stan 2003, push for exhibition at SAK. 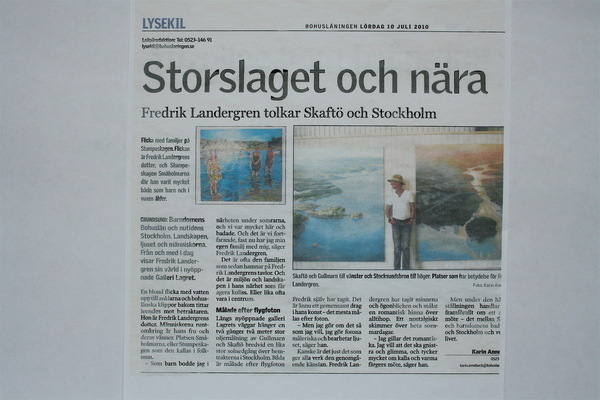 Vårt Kungsholmen 2003 - info about exhibition at SAK. 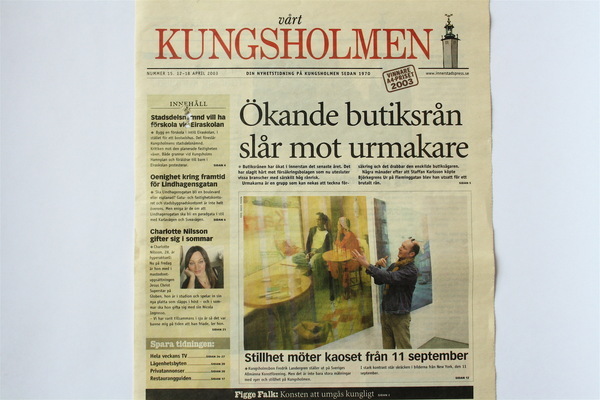 Vårt Kungsholmen 2003 - front page. 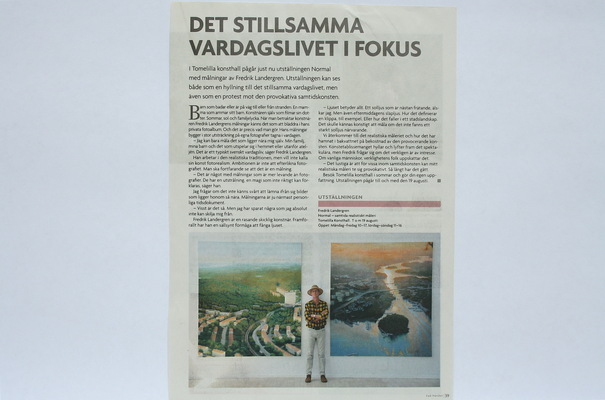 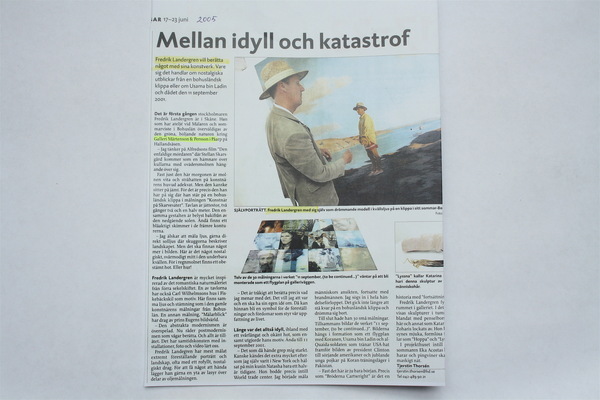 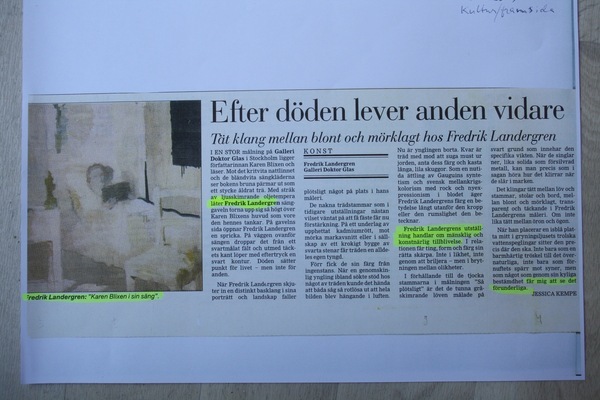 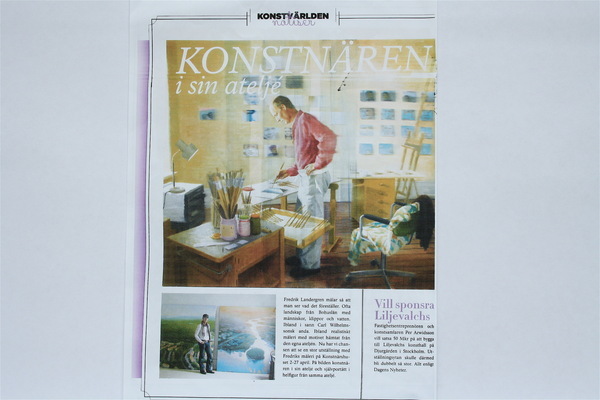 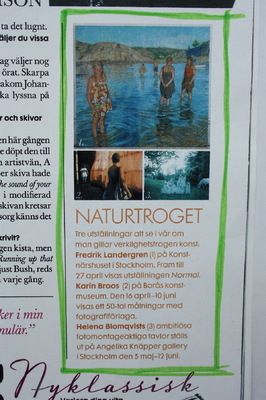 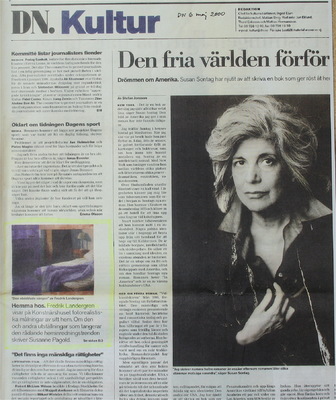 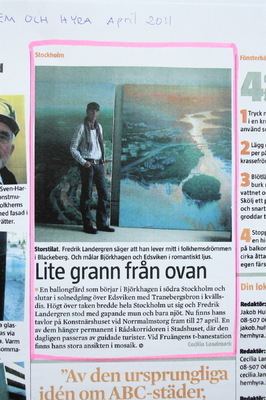 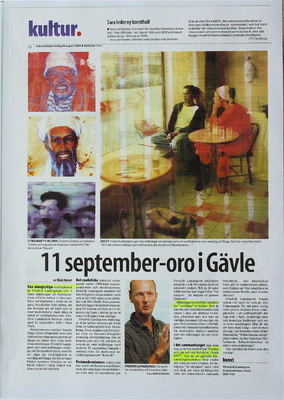 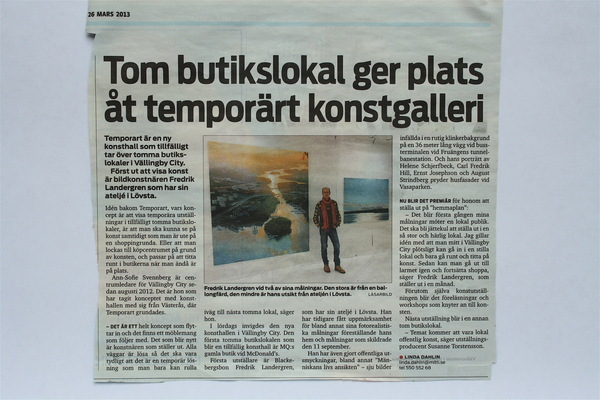 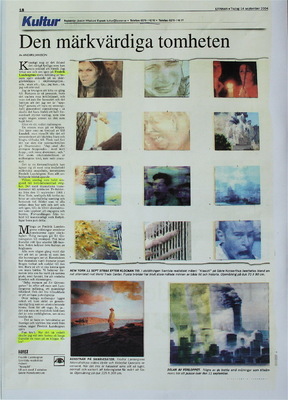 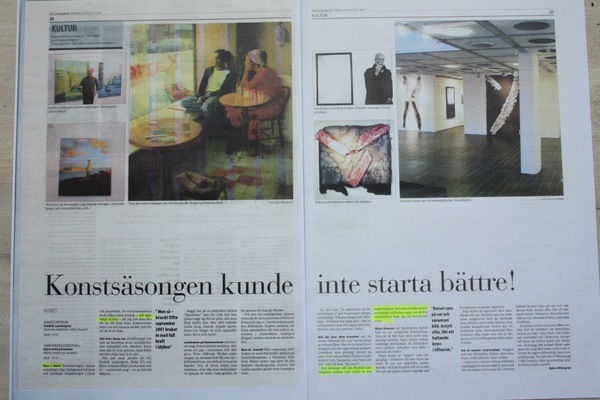 Dagens Nyheter 2000 - push for article inside, with review for exhibition at Konstnärshuset. 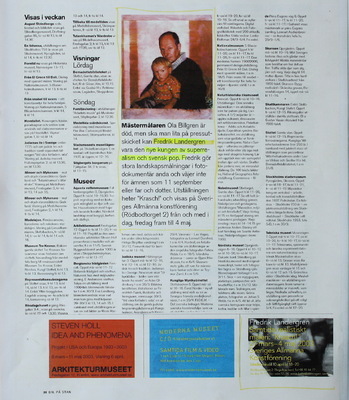 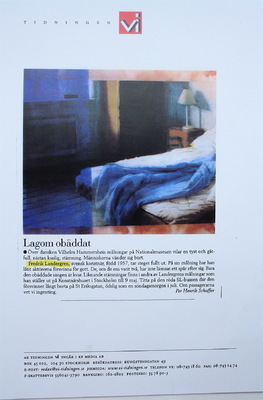 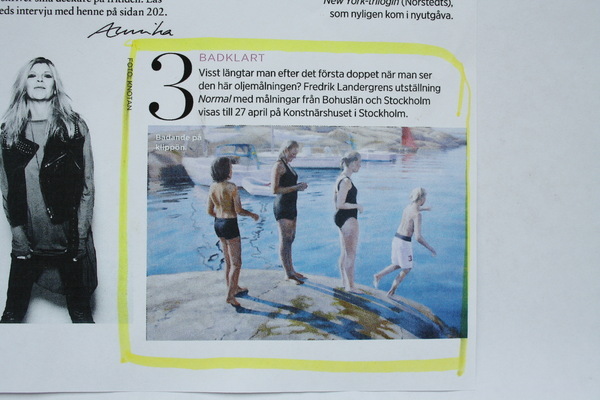 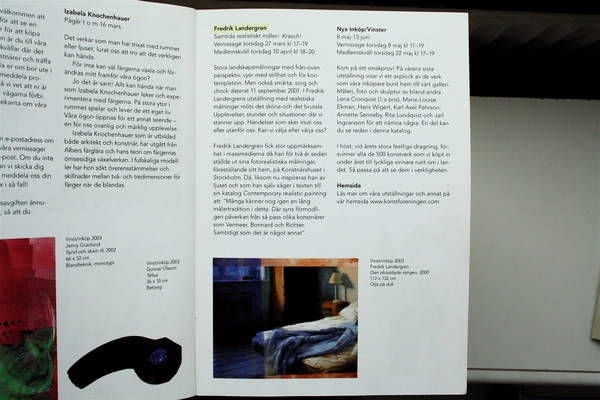 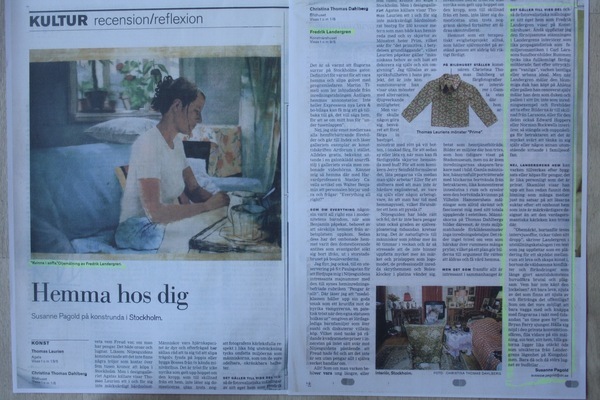 Dagens Nyheter 2000, 'Hemma hos dig' by Susanne Pagold uppslag sid 2 & 3 i kulturdelen. 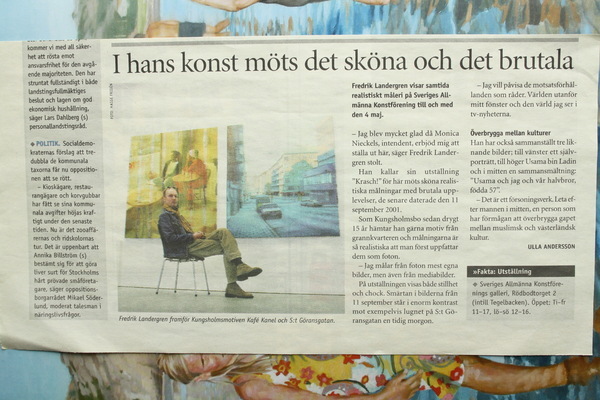 /exhibition at Konstnärshuset.